When Elizabeth arrived in the community, many of the kids had never had any formal education and the few that had had been out of school for years. The kids had put together a classroom – some logs lined up under the shelter of sheets of aluminum roofing, with tree stumps for desks and a scrap of wood for a chalkboard. There were no supplies, so they used what was available. 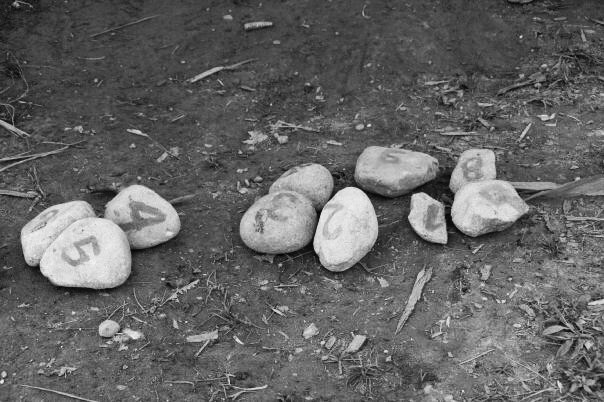 The first day they painted numbers on rocks with paint made from the achiote seed. The kids practiced counting, mixed up and rearranged, and traced their fingers over the painted numbers. The next day they found one notebook which they took apart into ten sections, sewed them together using thread pulled from an old nylon bag, and wrote the alphabet and numbers 1-10 in the pages – a makeshift workbook. 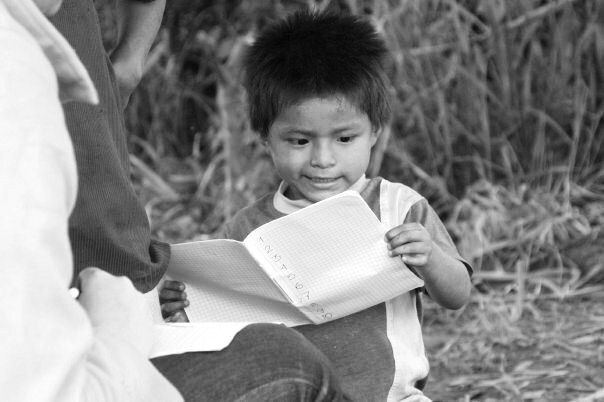 The kids were thrilled and sat practicing their letters and numbers, sharing three pens amongst them, for hours. When Elizabeth left, classes were taken over by a member of the community who has no formal training in teaching, and is not fully literate himself. Classes are often suspended when he is necessarily busy with hunting, laundry or other community or household responsibilities. There is no school building, so kids typically study on the floors of their huts, and supplies are limited and hard to come by. Nonetheless, they are working hard to keep practicing in preparation for their formal school. 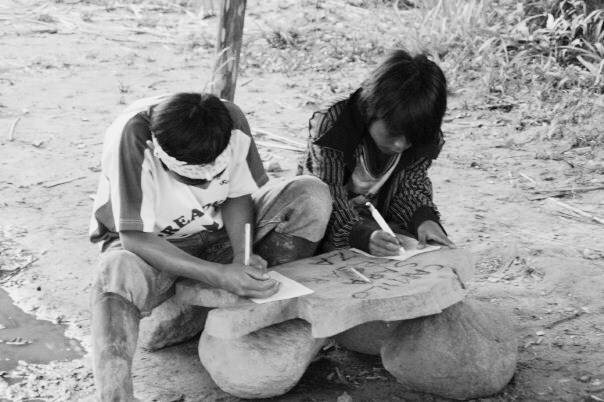 The new school will be built using wood that is sustainably extracted from their forest, and additional supplies will be purchased and transported from Puyo and Palora, the two nearest cities. It will be a raised structure with two classrooms with open walls to let in light. The classrooms will be equipped with desks, chairs, a chalkboard, and bookshelves. 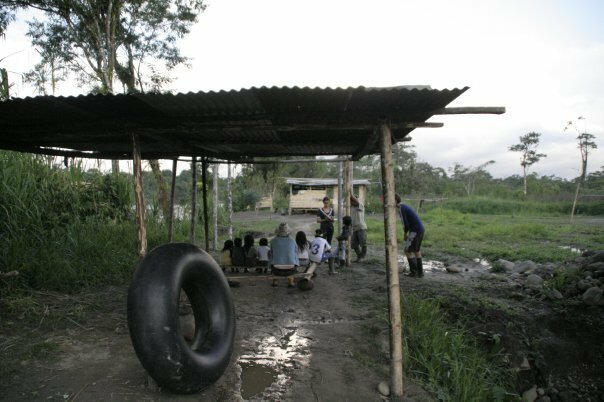 The school building will be designed by an architect from Puyo who works regularly with the Ecuador Volunteer Foundation. There will be two teachers at any given time – at least one who is fluent in indigenous Shuar. The school will be built with help from all members of the community, Elizabeth, and four other volunteers. Construction is expected to take one month, beginning in January 2011.